Nihede Hard is an altbier from Nanto Brewery based in Okinawa. The reason why Nihede Hard is deemed to be “hard” is due to the strong flavours that are associated with altbiers, rather than the gentle, soft flavours that go with pilsners and pale ales. It is a 5% unfiltered beer so a grey, yeast sediment may be found at the bottom of your bottle of Nihede Hard. It also won gold at a beer competition once upon a time. Hard for those hard people. Not for softies. I initially thought that Nihede Hard and Nihede Soft differed perhaps because of the kinds of water used. If you have grown up in the UK, then you would know about limescale and the deposits left behind in your kettle, disturbing the balance of your cup of tea. Nihede Hard poured our very much like an altbier; a deep reddish brown hue topped off with a light, frothy white head that lasted for a while but didn’t seem to be in hurry to leave the party. It had a strong malty kick to the aroma and if gloppiness could have an aroma, then Nihede Hard would be owning it as it smelt overly thick and sweet with a strong yeast follow up like fresh bread. Nihede Hard is a rollercoaster beer that leads you one way in the aroma but then goes a different direction in the body with a far stronger hoppy direction than it should be. But without even a chance to savour them, the malt taste swings back around to make sure you haven’t forgotten about it. Hops or malts? Which one, but you can’t choose both. With the hops leading the way, Nihede Hard drops off in the aftertaste, proving to be sweeter than bitter, leaving a thin, sticky taste on your tongue that another sip can not wash away. Nihede Hard is an ok altbier that lacks something, perhaps the final bite? 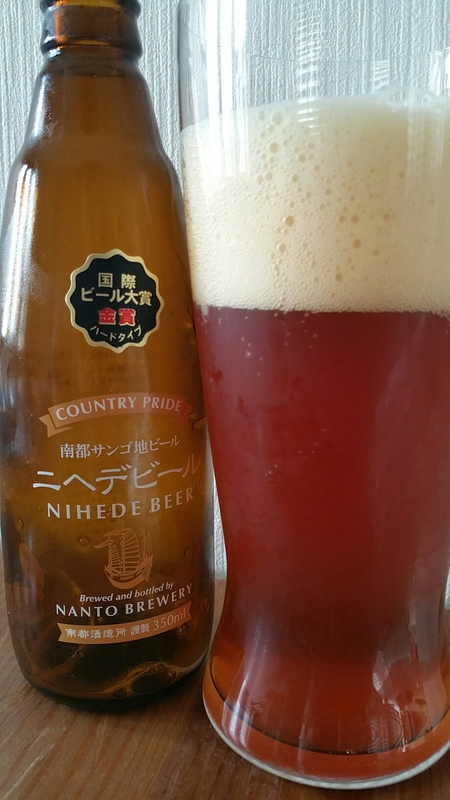 Nihede Hard can be bought from the Nanto Brewery online store here as part of a six-pack. It can also be bought from World Beer Market here.